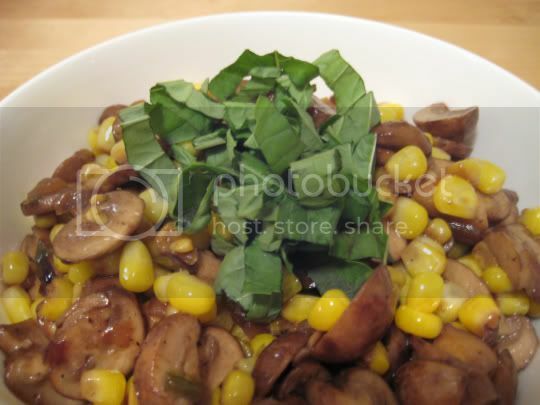 I was wary of this recipe because I'm not a huge mushroom fan. When they are small and cooked, they're OK...but they're one of those foods that I need to be in the mood to eat. The recipe called for one pound (!!!) of creminis, but I halved that due to my mushroom fear. I'm glad I did...one pound would have been TOO much. That being said, there is something about cooking mushrooms in wine (and adding just the right amount of salt and pepper) that does wonders for them. This dish was surprisingly delicious! Earthy, buttery, rich, fragrant...any mushroom-phobe would devour this. The addition of basil didn't really add much, I think a sprinkling of parmesan cheese would greatly intensify the flavor. And I wish I would have had a nice crusty piece of sourdough bread to sop up all that juice. Make again? Yes...but I will keep the mushroom amount to half a pound. Maybe I'll try with red wine next time, instead of marsala, just for a slightly richer flavor.